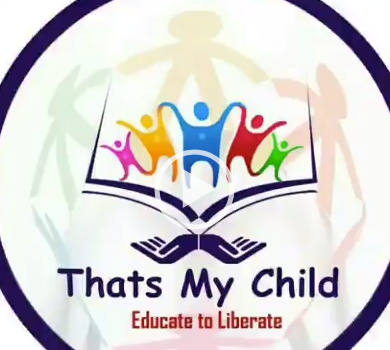 “Help others so that they can help themselves in the future” is the moto of my life and also of “That’s My Child”, an NGO that liberates children with education. The founder of this NGO is none other than Vanathi RM. 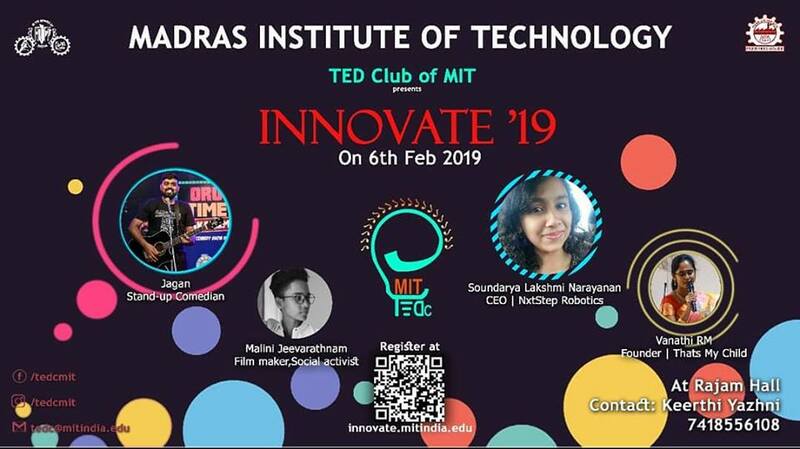 And guess what, she is going to be with us on the 6th of February as a part of the talk show INNOVATE, organised by the TED club of MIT. As the first-born in her family, the first girl to pursue education and also the first engineer to emerge from a heritage of farmers. She wanted to take her education further so, she completed her Masters in Engineering specializing in Computer Science. She started her career as a lecturer in an engineering college, where she was recognized as the Best Teacher for her diligence. During this period she financially supported young children assisting them in completing their education. These children were from her own circle of friends and she was elated to help those in need. Following a successful stint in academics, she ventured into the field of Information technology and started working as a SAP GTS consultant. After several successful on-site projects and winning more accolades such as the Best Employee awards, she started to notice the gap between her passion and her profession. And realised that there was more to her life than being just another SAP GTS consultant. She had already experienced the joy of sharing, and realized that true happiness lay in enriching a stranger’s life. Since education and educating young children were her sole passion she decided to convert her profession into her passion. She strongly believed that education alone would and could change the fate of any individual or family, as it did in her case. She was eager to move on to the next stage of her plan. She quit and moved back to Chennai. With the unfailing support of her family, well-wishers and friends, she started her own NGO “That’s My Child”. Together as a team they work to identify underprivileged students and reach out to them by supporting their education and health needs. They have even got their own 80G approval for tax exemption this year. Written by : Vishwa Krishnakumar, Second year, Department of Rubber and Plastics Technology. This entry was posted in General, Innovate'19. Bookmark the permalink. Vanathi is a great inspiration for people like us and she united all under one roof That’smychild .so happy for u guys and best wishes for all your success.